To find the locker key you require, type in the key number in the search box above. 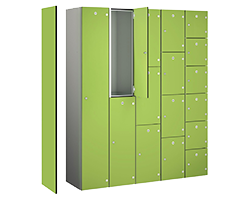 If you have a large workforce, a gym, or any business with a substantial amount of lockers, managing access and keys can be challenging. From time to time it’s inevitable that keys will get lost or potentially stolen. However, there is no need to panic; here at CS Storage we can provide a fast and effective Locker key replacement service. If there has been a security breach and locks may also need to be replaced – just visit our Locker Locks page or give us a call on 01772 322634. If it’s just replacement or spare locker keys you are after, just click on the relevant make and series category above and enter the locker key number (taken from the key or cam lock) and enter the number you require. Master key replacement and spares are also available, however if you have lost a master key and you believe security is potentially an issue, depending on the value of the contents you may want to consider replacing the locks on the affected lockers. Locker locks are simple to replace, however if you are looking to replace a large number it can be costly. If that is the case, why not give us a call and we’ll be happy to advise you on your options and best course of action. Along with our lockers, we constantly check our locker key prices against our competition to ensure we have the best prices on the internet, and coupled with our fast and effective service, you can be sure you are buying from the right company. However, if you do find a like for like product cheaper from a reputable supplier – just let us know and we’ll do what we can to beat it. Our range of locker keys includes replacements for lost keys for Lowe and Fletcher, Probe, Elite, Lion Steel, Ronis, Biocote, Assa Abloy, Link Lockers and many more, If you can't find the key you are looking for, please call us on 01772 322634 and we will be happy to help.